It’s been over 4 years since I emerged wide-eyed from undergrad. 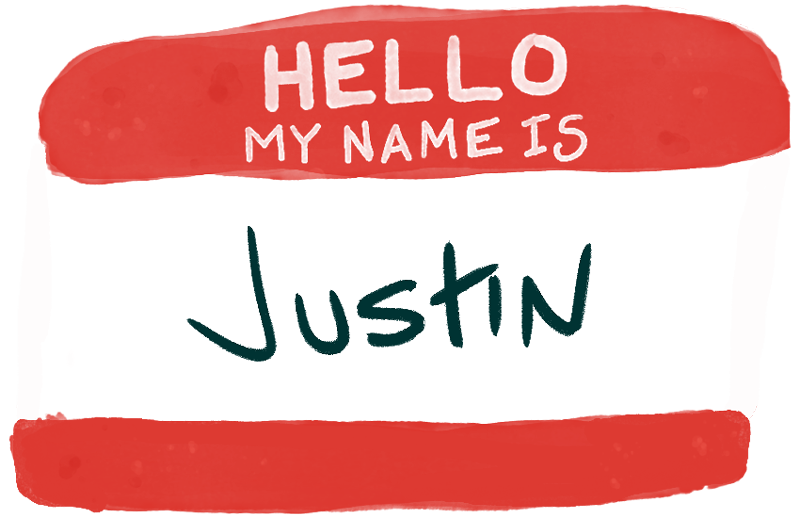 With this newest version of my website I wanted show my path and give an introduction to Justin the person, a side that has been shy in showing itself in the cybersphere until lately. I grew up on a tobacco farm in Darlington, SC. Agriculture was an integral part of both sides of my family so from a young age working hard and being outside were a normal part of life. My grandmother was an english teacher & oil painter so art, drawing and writing were drilled into me at an early age. My family moved to NC in 2000 and I entered a different block-style school structure and could only choose 1 elective to pursue. I choose music. That decision served me well from being drum line captain to picking up guitar & playing around the country, to playing the hell out of Final Countdown and Michael Jackson at basketball games in college. But as a result of that decision I had all but forgotten about art by the time I graduated high school. I based my college decision on whether I wanted to spend 4 years at the beach or in the mountains because I didn’t have a clue. UNC Wilmington it was. In a serendipitous fashion, everything changed when my RA handed me a copy of Photoshop 7 in the dorm. My band needed t-shirts, so I gave it a shot and rediscovered a side of myself that had been long forgotten. I took every course in college I could through the nearest design major Wilmington offered, Communication Studies with a minor in Digital Art. It was during this period that I fell in love with the visual communication and problem solving that separates design from art. At the same time I was tutoring high school Algebra-PreCalculus for gas money. You might see the winding path to web design beginning to shape up but let’s keep going. I took first available job out of school as a Graphic Artist / one man in-house screen-printing operation and moved to the Raleigh area. Although it was mostly a production job, and I understood the irony of being a designer for a franchise whose logo is Comic Sans (I can’t make this stuff up), I was happy to be making a measly hourly wage using the creative suite and screen-printing full-time. After all it was t-shirt design that pushed me down this rabbit hole to begin with. We later hired Sam, an intern who introduced me to a new world that I was oblivious to not coming from a structured design program. She told me to check out a local studio tour put on by AIGA. I started going to AIGA community meetings and events initially to hand out business cards and try to land a job at one of the fancy pants agencies in the area, but a funny thing happened. I stopped merely attending and started volunteering. I dropped the elevator pitch and started hanging out, making friends, building relationships. The open source nature of the Raleigh chapter has been a huge influence on how I look at design and ‘networking’ as I’ve gotten involved over the last 4 years. While I was still screen-printing, I had a customer also looking to have a website built. I offered to help on the side and taught myself HTML and CSS to build my first full website for $400 and a used snowboard in 2011. I was hooked. I finally found it, the intersection of math, communication, and design is on the web. I’ve been designing and building sites ever since. It led me to my current position for the fine folks at Global Value Commerce and I’ve been designing and writing code everyday while freelancing many nights. Over the last 4 years, techniques and knowledge have come and grown. There is a paradox for entry level positions that require 3 years experience, but now being on the other side I’ve come to realize why they ask for it. It wasn’t until I had been doing this for years that I finally had a real grasp on something. It wasn’t until recently that I became confident in both my skills and value while being aware of the lifetime of work it’ll take to master this craft. To be honest, I’m ok with that. I stopped being over zealous, stopped constantly trying to project myself and started doing the work and being available. It wasn’t until recently that I became confident in both my skills and value while being aware of the lifetime of work it’ll take to master this craft. I’ve learned that there is much more to effective design than perfect pixels, leaning more on my knowledge of communication and favoring teamwork/collaboration. But more important than that I’ve realized there is more to life than design and an illustrious career. I have an amazing wife, loving families and wonderful friends and it is to that end that I stay motivated to keep pushing, learning & improving. So I’ll keep making websites, building brands and solving problems the only way I know how: with everything I have; even if I never become Dribbble famous, I’m happy. So let’s keep things messy, ship the imperfect, and build a better web together.